If you are thinking of using an auto transport company to move your car, then you have come to the right place. Here we will give you some basic information that you can use to make the best possible decision about how to ship a car and help you save up to 50% in the process! Sometimes it's not possible to move your car across country by driving it yourself - primarily due to the time and cost associated with transportation. If you need to move a vehicle because you are moving to a new home, relocating for work or any other reason, a car shipping company can help make your move much easier. Car shipping companies offer a convenient interstate transport services, as well as international car shipping. Of course, with the growing demands from people wanting to move vehicles purchased online, moving classic cars or collector vehicles across the country, or moving for a new job, there are more and more car shipping companies taking up the demand. Therefore, you need to be careful that you choose the right auto transport company to move your car so you get the right service at the right price. More and more people are turning to auto transport services when moving because they realize just how important their time is. Realizing car transport can save time and also save money, most people jump at the chance of letting the professionals take car of the hassle of shipping a car. In general, an auto transport company will take between three to five days to carry out car shipping over shorter distances and between seven and ten days in the case of cars being moved from coast to coast. Car shipping companies carry out their services at reasonable prices, and the cost is often much less than if you were driving the vehicle yourself and having to factor in gas, accommodation and wear and tear for your journey. You may find that the auto transport price is greatly reduced if you can deliver the car to a local depot, rather than using door-to-door transport services. Many people who choose to do this save considerable money! 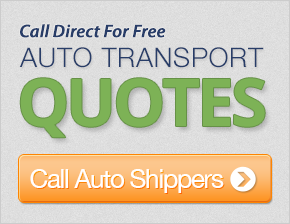 It's important to get your auto shipping quote in writing for the shipment before you agree to do business with a carrier. Some companies will change the price of moving a car, and you may find that your bill is more expensive than you were originally told. If you have the car shipping price in writing on your auto shipping contract, then you will be assured there are no surprises when your car is delivered. Remember that spending a few minutes to get comparison prices, you can save hundreds of dollars on your car transport. You can get free comparison quotes right here at CarMoves.com! One of the best reasons to use a car shipping company is that there are many hazards on the road which can cause damage to your vehicle from chips in the paint or windows to much more serious damage. The truth is that there are many different types of transport trailers available for moving vehicles and to an extent you will be given a choice with regards to how you would like to have your car moved. For example, if your car is particularly expensive or a collectible, you may want to opt for an enclosed vehicle transport solution that will ensure your car will be safe from damage as it makes the move. There are many different car transport services available, so to find the best solution for you, it's best to compare car shipping companies to find the best deal. Remember that an auto transport company can deliver vehicles almost anywhere - saving you both time and money!